We know – they’re intimidating. The mounds of colorful, tough-skinned squash and gourds arranged in boxes outside the automatic grocery doors as their more approachable, thin-skinned cousins nestle in their cozy produce-aisle beds. 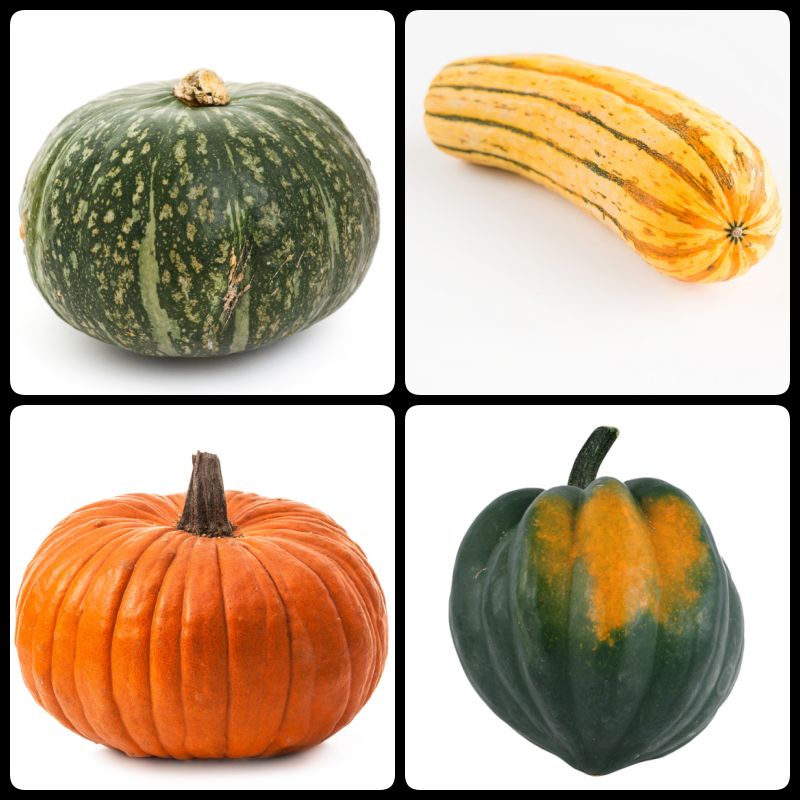 There’s no doubt that members of the Cucurbitaceae family, notably pumpkins, gourds, and winter squash, are beautiful, if not interesting, ornamental works of Mother Nature. But it seems that all are destined to be arranged on the front stoop of every suburban home in the Northeast. Underneath their colorful, sometimes rough, exteriors is nutrient-dense flesh that does really well in soups – it’s just the right amount of starch to yield a creamy texture. Of course straight up baking or roasting your squash is always an option. Many varieties have edible skins and do not need to be peeled. 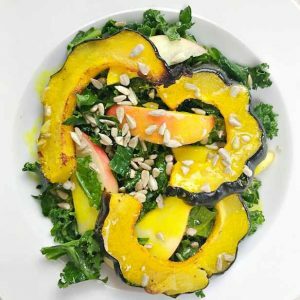 We love adding roasted squash to salads and puréed squash to baked goods. Here we share with you our top picks for edible varieties - you can leave the ornamental varieties at the door. Probably on the top of our list for ease of preparation! 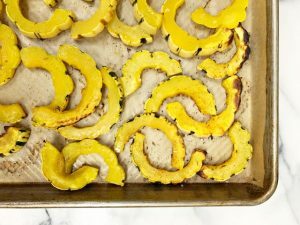 Delicata squash has a mild, nutty flavor, firm flesh, and thin edible skin. Preparing this variety could not be simpler: rinse, cut in half, remove seeds, slice into half-moons, toss with some olive oil and salt and bake at 350°F for about 20 minutes until browned. Delicious enough to eat on their own as a fiber-rich snack! Now that you’ll be making squash regularly, you might be wondering, what can I do with all these seeds? Food companies have made it their business to repurpose this compost-worthy waste into delicious edible snacks – but you can do this too! Rinse any remaining flesh from seeds and lay out on paper towels to dry. For savory, toss with a bit of olive oil, seasoning of choice, and salt and pepper to taste. For sweet, toss with a bit of melted coconut oil, a touch of maple syrup, cinnamon or other spice, and a pinch of salt. Sweet and savory – why not! All combinations are on the table, including adding a little kick with some cayenne pepper. Roast seeds on parchment-lined baking sheet at 350°F for about 10-15 minutes or until slightly browned. Enjoy as snack or topping for salads, yogurt, oatmeal, or chia pudding.